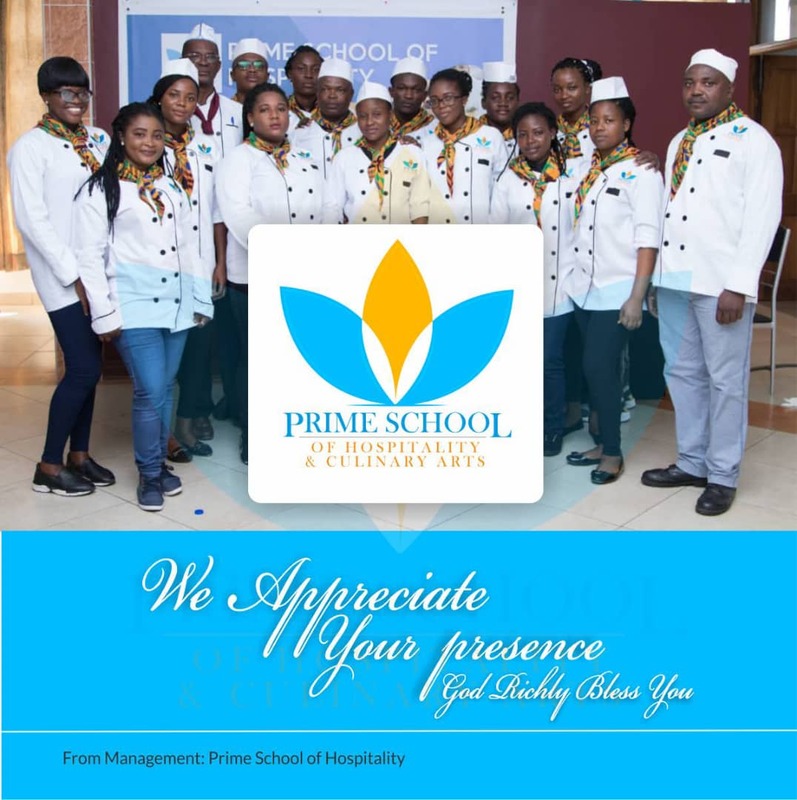 A school dedicated to training people to acquire expertise in catering and culinary skills, Prime School of Hospitality and Culinary Arts has been launched. The grand opening which took place at the school premises along the Mallam Kasoa Highway in Accra on November 21, brought together stakeholders in the tourism and hospitality industry as well as the media. The school undertakes courses such as Food Production, House Keeping and Front Office duties. They also offer short courses in Kitchen Operation with HACCP standards, Table Setting Etiquette for Housewives, Pastry Workshop, Restaurant Management as well as Spa and Nail Technician training. There are also part time cooking lessons for families and individuals who want to learn how to make specific dishes such as sandwiches, salads, sauces and soups at their convenience. Expressing his excitement towards seeing the hospitality and culinary arts school being commissioned, the Founder of the school, Mr Prosper Kumi said that the school, aside equipping students with the necessary skills, will go a long way to provide employment avenues for the teeming unemployed youth. He also added that he harboured a resolve to see the hospitality and culinary arts industry thrive in Ghana, thus his reason for establishing the school. Subsequently, the Director of the newly launched school, Mr Stephen Dzillah expressed joy that finally a specialized Hospitality and Culinary Arts has been set up. Mr Dzillah, who was a former president of the Ghana Chefs Association, noted that the quest for the establishment of such an institution begun some twenty years ago when he fought tirelessly for the Ghana Tourism Authority to establish a hotel school which yielded no positive results. The Special Guest of Honour at the launch, Mr Micheal Kpingbi who was a representative of the Ghana Tourism Authority also indicated that tourism is every one’s business which if properly built can yield Ghana a lot of income, but stressed that the government cannot do it alone since individual contributions are key to strengthening the sector.